"It is amazing and exciting. I have never seen it before," Rhonda McDonald, who came from the U.S. city of Houston to attend the celebration, told Xinhua, "I love Chinese food and Chinese culture. Every year, my kids and I celebrate the Chinese New Year." In San Francisco, Mayor London Breed, dressed in red that represents happiness and good luck in Chinese culture, on Tuesday launched official celebrations of Chinese New Year in the city's Chinatown. "Each new year is different, and I can always feel something new from the thrilling festivities," Logan said. Breed said that there will be a market fair this week in Chinatown, where one can find flowers and goodies, such as red packets for kids and oranges which in Chinese are a popular symbol for "good luck." She will also attend San Francisco's grand Chinese New Year Parade scheduled for Feb 23, a Chinatown tradition that dates back to the 1860s. The Niagara Falls on Canada side was lit up in red to celebrate the Chinese New Year in Ontario, Canada on Tuesday. On the night of Jan 28, the CN Tower in Toronto was lit up in red to celebrate the Chinese New Year, the fifth consecutive year to do so. By celebrating the Chinese New Year together, people from both sides of the Pacific have deepened their understanding of each other's cultures and made the ties closer, officials have said. "There is no better way than to celebrate the Chinese New Year through cultural exchanges," said David Whitaker, CEO of Choose Chicago, the official tourism organization for the city, on Tuesday as the city kick off Chinese New Year celebrations. "The more we learn about China, the better we understand each other," Whitaker told Xinhua. 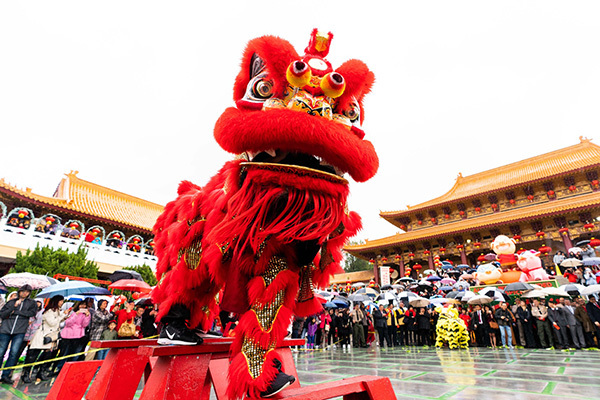 During a show titled "Charming Beijing-Tianjin-Hebei" featuring Chinese artists performing folk music, Tai Chi, Peking opera, acrobatic and martial arts, on Jan 25, Vice Mayor of Beverly Hills John Mirisch said his city enjoys a great relationship with China. "We welcome the Chinese, and think sharing some of their interesting cultural experiences with American audiences right here in Beverly Hills makes us understand and appreciate each other more." 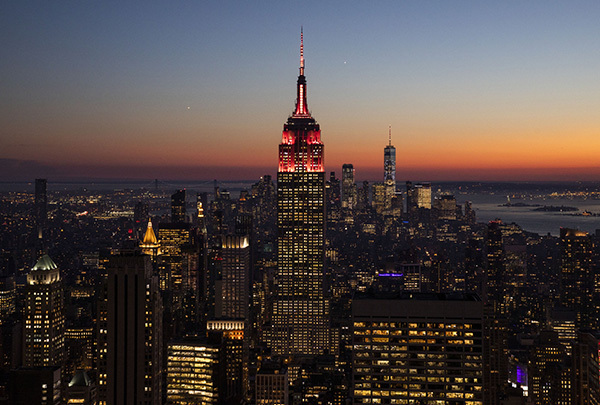 The Empire State Building's lighting of Lunar New Year serves as a symbol of friendship between the peoples of the United States and China, said Huang, the consul general. After putting a Chinese couplet on the door of the governor's office at the Missouri State Capitol in Jefferson City, Missouri Governor Mike Parson and First Lady Teresa Parson held a Chinese Lunar New Year reception at their mansion on Monday evening. "I truly appreciate how the Asian American community has come from across the state to Jefferson City to celebrate the Lunar New Year in the Missouri State Capitol. We're excited to have this opportunity to share the diversity and cultural traditions of all Missouri," Parson said. "Rest assured that we will continue to lead the state with a noble vision and an open heart."